Englishman Matthew Fitzpatrick claims his first win of the season by edging out Scott Hend on the third playoff hole of a dramatic European Masters in Switzerland. 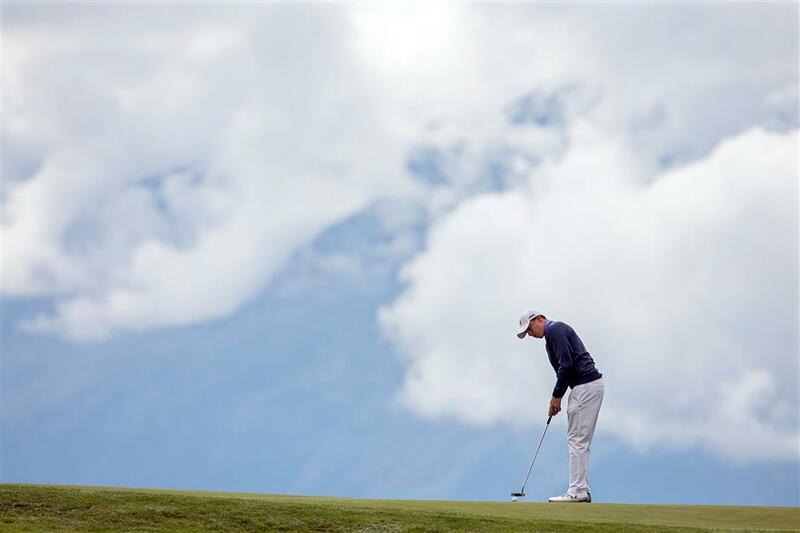 Matthew Fitzpatrick of England putts during the final round of the European Masters in Crans-Montana, Switzerland, on September 10, 2017. Englishman Matthew Fitzpatrick claimed his first win of the season by edging out Scott Hend on the third playoff hole of a dramatic European Masters in Switzerland on Sunday. Australian Hend, who lost to Swede Alex Noren in a playoff at the same event 12 months ago, missed a six-foot putt for the title on the second playoff hole before falling apart minutes later. But world No. 48 Fitzpatrick, 23, looked to have carved out a tournament-winning lead as a trio of birdies on the back nine put him two clear with two holes remaining. Hend, playing in the final group, found a birdie at the par-5 15th though, before Fitzpatrick bogeyed the penultimate hole to leave the pair tied at the top and headed for a playoff on the par-4 18th. Both two-putted from 30 feet to take pars on the first sudden-death hole, before returning to the final tee box as the playoff was extended.